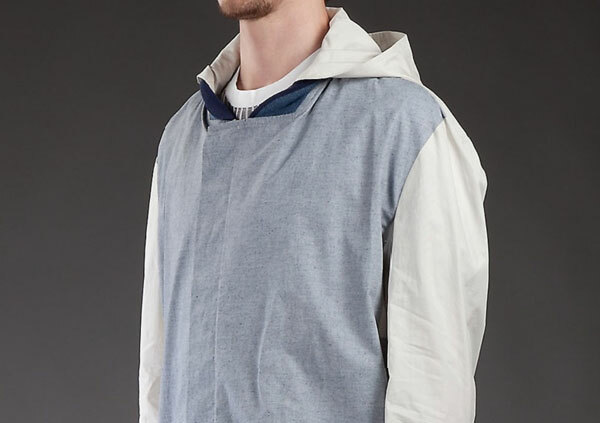 This hooded jacket from Stephen Schneider is constructed of a light blue cotton fabric with removable hood, a darker shade of blue ribbed cuffs and hem, and contrasting white sleeves. Inspired by a varsity style jacket, Schneider’s interpretation is revamped with a clean look, adding concealed buttons to lend the lightweight outerwear a modern appeal. 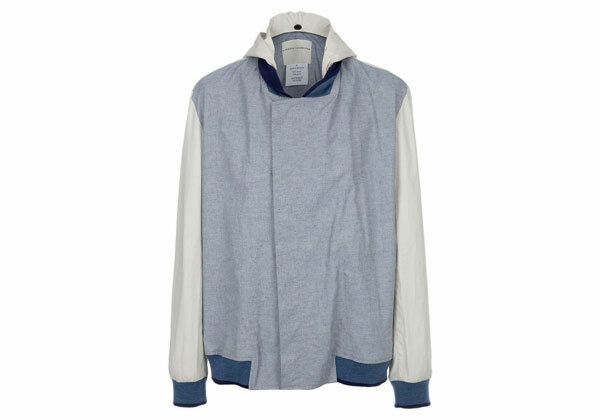 Get your hands on one through the online B store for $487.